A group of about 60 students witnessed Marques Townes and Clayton Custer walk off the court in disappointment after Loyola fell to Bradley University March 9 in the Missouri Valley Conference (MVC) Tournament semifinals in St. Louis. While the Ramblers had a spot in the National Invitation Tournament (NIT), the loss ended any hope for the team to repeat its Cinderella run in the big dance last season. It was the final Arch Madness for the pair of redshirt senior guards, and it ended when Townes’ potential game-tying shot missed in the final seconds. Expectations were high entering the season as Loyola was picked as the preseason favorite to win the MVC, leaving many fans hoping for another Cinderella story. Head coach Porter Moser only boosted those expectations when he spoke in front of incoming student orientations over the summer to “recruit” new students to follow the team. 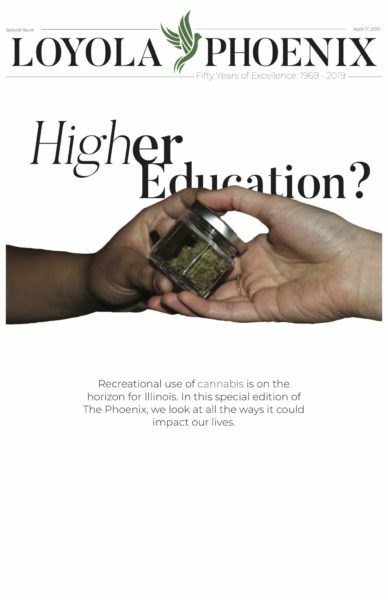 Last season’s Final Four run led to an increase in overall student attendance to the university as well as student interest in all sports at Loyola, The Phoenix reported. However, Loyola’s women’s soccer team has been the only team to capitalize on the increased interest by making it to the NCAA Tournament for its respective sport. Nick Schultz | The Phoenix Loyola students Thomas Scully (left) and Jonah Blatt react during Loyola’s loss to Bradley in the Arch Madness semifinal March 9. Despite never stringing together more than three consecutive wins all season, expectations were still high after Townes took home the MVC Player of the Year award and Loyola locked up the No. 1 seed in the conference tournament. 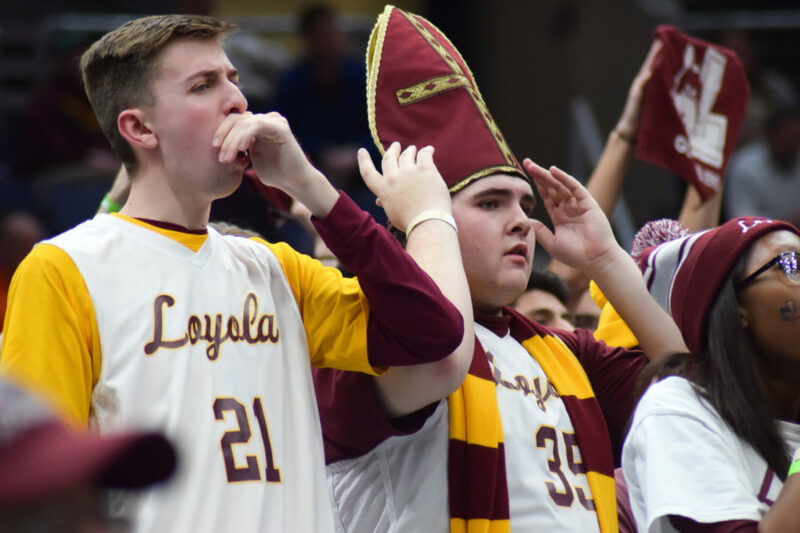 While Zach Coe, a sophomore journalism major, said he knew the odds of Loyola repeating its success from last season were slim, he was still disappointed in how the season ended. Students and fans came out in droves to witness the Ramblers attempt to recreate the magic from last year. 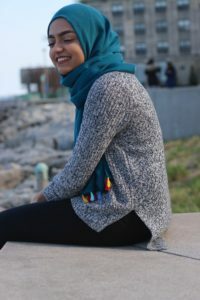 The initial student turnout even prompted the athletics department to alter its ticket policy to allow the maximum amount of students to attend games. Senior Lexi Belleville has worked at Gentile Arena during basketball games for the past four years. She said the fan turnout this season, especially in the beginning of the season, was much bigger than any of the previous years. This season, average attendance per game was up to 3,712 people compared to an average turnout of 2,404 last season. 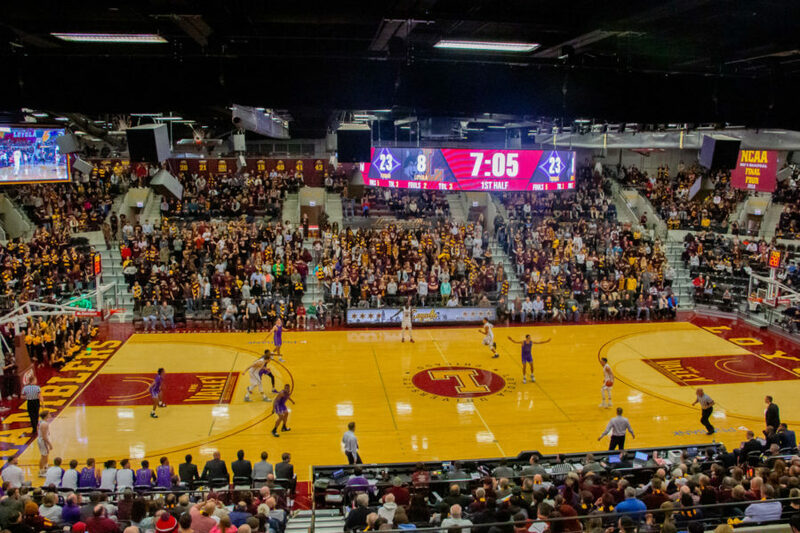 Also, the Ramblers sold-out Gentile Arena six times this season after reaching maximum capacity just once last season. Nick Schultz | The Phoenix Loyola’s first sellout of the year came Nov. 9 against Furman. Belleville said she isn’t concerned about fan turnout for next season. She said the team gained a lot of passionate fans during the Final Four run who’ll continue to support the team. Belleville also said she thought the team was successful this past season, despite the Ramblers not making it back to the NCAA Tournament. Other Rambler fans are less optimistic that student support will continue to hold up. First-year Bekah Cates attended all but two home games and made the trip to Arch Madness. She said she anticipates somewhat of a drop-off in attendance, but added she’ll continue to strongly support the team next year, despite the fact that her favorite player — Townes — will have graduated. Fellow first-year student Lily Kreuter also said there might not be quite as many fans at the games next year since the team wasn’t as successful this season. However, Kreuter said she isn’t worried because the atmosphere on game days is electric. She also attended Arch Madness and said that it was great being surrounded by diehard Loyola fans.